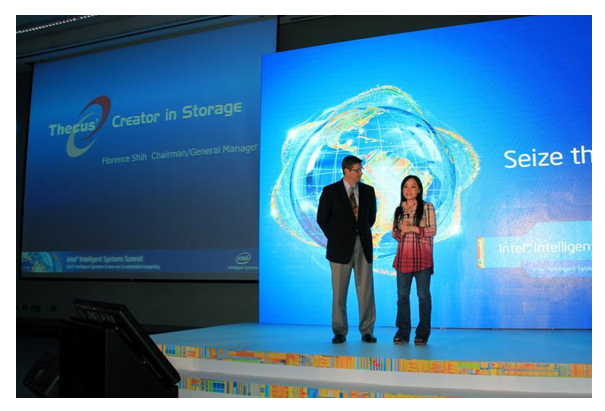 The summit ran its course by starting off with keynotes from several Intel® professionals and one which was David Tuhy, general manager of Intel® storage group. During the keynote, he kindly invited Florence Shih, chairman/general manager of Thecus®, on stage to speak about Thecus® NAS and the significance of Intel® and Thecus® partnership. Throughout the day, smaller presentations were held at selected times. The Thecus® booth was located on the first floor with easy access. 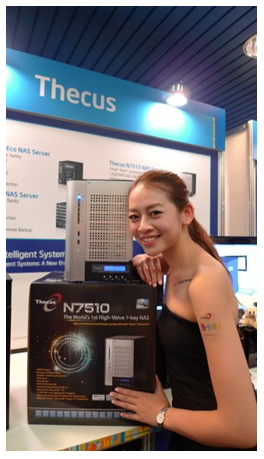 New NAS models were presented such as the new 7-bay N7510. Other noteworthy aspects includes local display for full multimedia playback, mobile access with Apple, Android, T-OnTheGo applications and the popular TopTower series was in attendance as well. After each course took place, crowds rushed out of the presetntaiton halls, roamed the showgrounds and made their way to the Thecus® booth. Once they spotted multimedia being displaying seamlessly without a laptop, mouse and/or keyboard; they were astonished and interested on how convient it is to navigate and manage multimedia via mobile device. To add, the 7-bay N7510 caught awareness due to the unique storage size which kept attendees to seek more information abou the NAS itself. Able to reach 28TB storage capacity with 4TB HDD. Besides showcasing the N7510, the popluar TopTower N10850 NAS was on display. 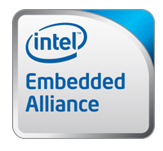 The NAS uses an Intel® Xeon™ processor with 2GB of RAM. This 10-bay NAS means serious power and perfomrance. Attendees were surprised by the storage capcity that they can obtain with the utilization of 4TB HDD, with a total of 40TB and powered by a pure performance processor. 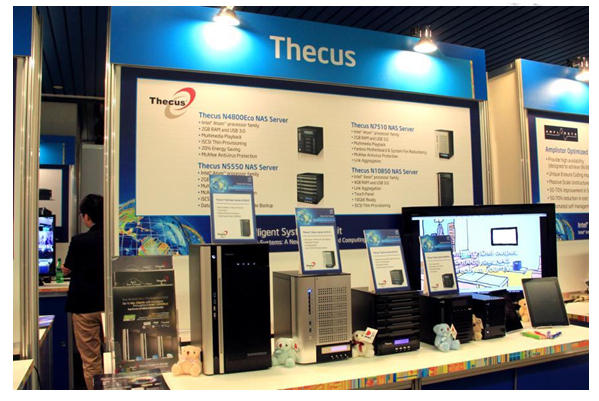 IISS was an overall success, as Thecus® participated in the Intel® presentation and had the chance to showcase NAS solutions between smaller individual presentations. In addition, a plethora of local media made their way to the Thecus® booth to speak on upcoming features, current NAS solutions and had the opportutnity to take photos of the NAS.